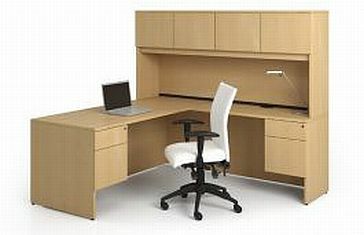 This laminate desk is available in many shapes,sizes and colors. It has a 1" thick impact resistant edge that will not break. Grommets are also standard with this series. This series has a product for just about every room in the office.